Sources familiar with the matter told Bloomberg that Apple originally wanted to announce a live streaming service at this year’s iPhone event, but those plans were put on ice as deals with major networks like CBS, 21st Century Fox and NBC have yet to be brokered. The dealmaking process seems to be touch-and-go, as a report just last month claimed Apple was making headway with ABC, CBS, NBC, and Fox. Aside from the arduous process of finding a middle ground with entrenched TV networks, Apple also has to secure broadcasting rights for local content. Earlier today, Piper Jaffray analyst Gene Munster said there is a 50-50 chance that Apple would unveil its OTT service during next month’s iPhone event. In addition to licensing hurdles, Apple reportedly lacks a network infrastructure capable of feeding what is expected to be a large number of Apple TV boxes. Apple supposedly needs to populate servers around the U.S. with content to ensure a smooth streaming experience, but so far only fields data centers in California, Nevada, North Carolina and Oregon. The company has been building out a proprietary network, but currently leans heavily on Akamai to handle its content distribution grunt work. The publication went on to quote sources as saying Apple’s upcoming service would sell for around $40 per month, on the high side of previous estimates. 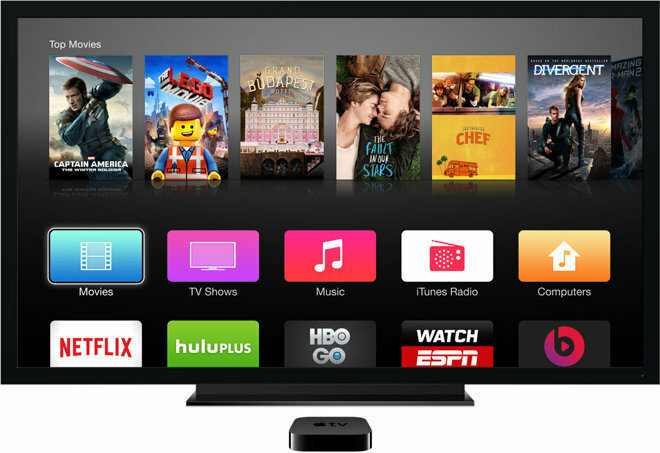 Past rumor and speculation suggest Apple plans to market a so-called “skinny” channel bundle with participation from major networks and select cable offerings, though licensing fees and final customer cost were up in the air. Finally, sources said they expect Apple to debut a revamped Apple TV set-top box at the as-yet-unannounced September keynote even without the OTT service. The hardware is said to feature upgraded internals, touchpad remote, support for Siri and a dedicated app store.